If you’ve forever been questioning what shampoo to use to treat your dry scalp, or you’re looking for a good gentle alternative to your usual medicated shampoo, then Klorane soothing & anti-irritating shampoo is just the answer. Without feature of traditional actives, the soothing formula has natural anti-inflammatory benefits courtesy of peony extract and significant anti-bacterial benefits thanks to a next-generation cleanser. A good shampoo to treat dandruff caused by a dry scalp is surprisingly hard to come by. 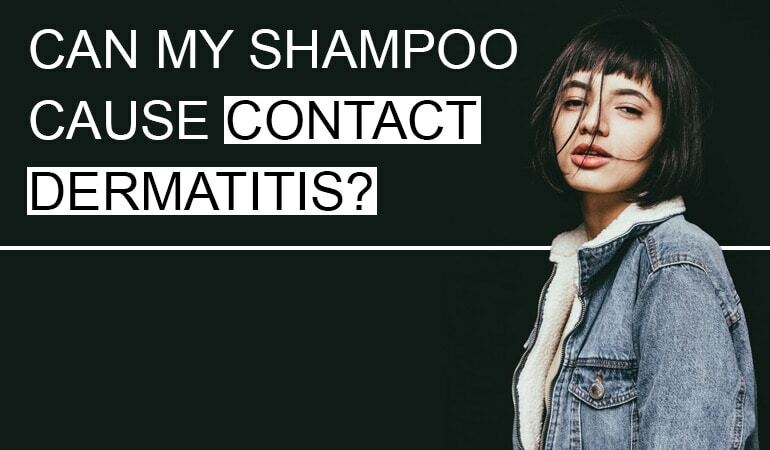 And if you require a medicated shampoo, what do you use in between treatments? Do you revert back to a drugstore original? Use your supermarket brought 2 for 1? Your up-keep choice is just as important as your medicated shampoo choice. 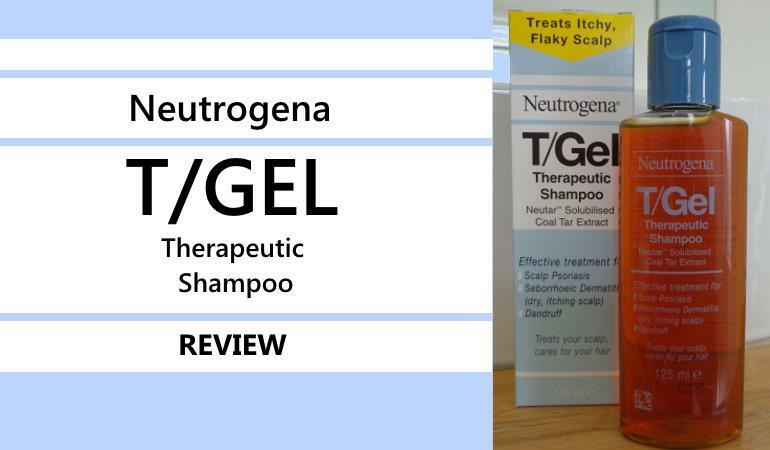 The challenge – most dandruff shampoos focus on just that – dandruff – they’re medicated, often potent and sometimes even aggressive – Nizoral we’re looking at you. 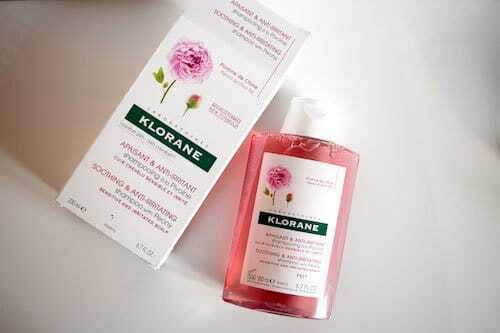 Klorane soothing & anti-irritating shampoo with peony shakes away the norm. 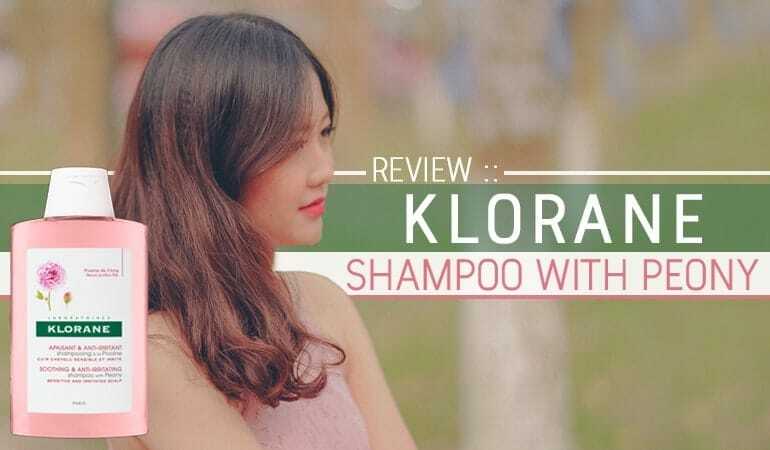 Promising to be a sensitive, irritated scalp friendly formula with natural soothing action – could Klorane soothing & anti-irritating shampoo be dry scalp or up-keep in-between you’ve been looking for? First stop: Who makes Klorane soothing & anti-irritating shampoo? Can they be trusted with your dandruff prone scalp? A quick scan of the Klorane packaging tells us, the answer – a company called Pierre Fabre Dermo-Cosmetique make Klorane shampoo. A French founded business with a mission to care for the human body as a whole. You might also recognize some of their more well-known brands – Avene skincare, A-derma and Glytone. Pierre Fabre Dermatologie claim to be no.1 in Europe for dermo-cosmetics (cosmetics with dermatological aka skincare benefits) and no.2 globally. Their overarching principle – beauty with ethics. So, Pierre Fabre Dermatologie check-out, they’re a well-known company with well-known success. Now, what about the shampoo? 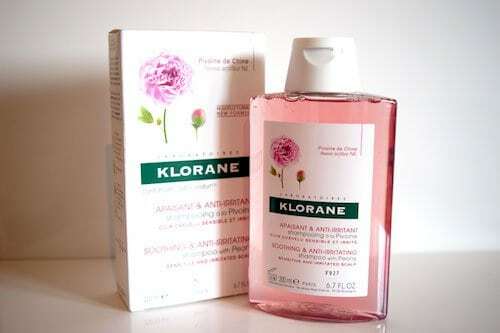 How does a bottle of Klorane soothing & anti-irritating shampoo look on arrival? 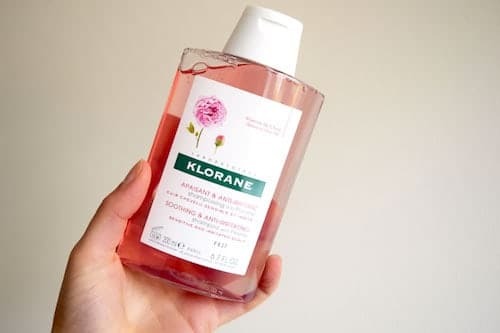 Channeling a different from the norm aesthetic, Klorane soothing & anti-irritating shampoo communicates a mixture of clinical and holistic/botanical. The packaging presents as a 200ml bottle contained within a reassuringly branded outer carton. The packaging is sturdy, the bottle transparent and the shampoo a clear, light-rose liquid. With a quick break of the anti-tamper lid seal an easy to use flip top cap is revealed ready for use. Next question: How does Klorane soothing & anti-irritating shampoo wash? Can you expect great performance? When using your bottle of Klorane soothing & anti-irritating shampoo it’s very unlikely you’re going to notice a difference between Klorane and any other shop brought shampoo you’ve used before. The formula foams well helping spread through your hair, the scent is almost-there and pleasantly floral, the bubbles wash out well with no weighty residue. A formula which feels refreshing, able to balance a combination of dry irritation and over-oily scalp. Looks fantastic so far – but – before we get ahead of ourselves, here comes the most important part – what’s inside the bottle? Does Klorane soothing & anti-irritating shampoo contain ingredients proven to work? Zinc coceth sulfate is a very interesting ingredient – still protected by a 2015 published patent owned by Pierre Fabre Dermo-Cosmetique. Note: A patent is a legal document used to protect new inventions. The fact Pierre Fabre Dermo-Cosmetique own this patent means for its lifetime (usually 20 years) no other company can use the discovered ingredient within the context it was discovered for. This makes the formula of our in question Klorane soothing & anti-irritating shampoo rather unique. 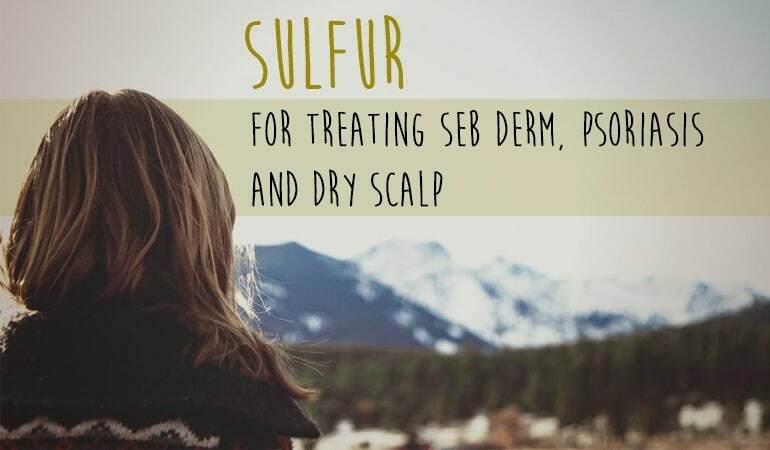 Zinc coceth sulfate has been proven able to control dandruff, even being compared to the efficacy of sodium laureth sulfate with 0.75% piroctone olamine. Use of a zinc-containing/zinc depositing shampoo (the one used in this study is highly likely to be zinc coceth sulfate) significantly improved dandruff symptoms with 4 weeks of use, also showing a consistent decrease in the yeasts associated with causing dandruff and seb derm alongside a decrease in oily scalp. Although Klorane soothing & anti-irritating shampoo contains no popular anti-dandruff ingredients, the formula is not without activity – and a mild, sensitive skin friendly activity at that. Even better news. In fact, in China peony extract has been used for years to soothe away pain and sickness. But hearsay isn’t enough for us to rely on peony extracts abilities – helpfully published studies also support peony extracts benefits. Specifically, a 2011 completed investigation into peony extract concluding it has both analgesic and anti-inflammatory benefits. Klorane soothing & anti-irritating shampoo is not only a sensitive scalp friendly shampoo, there are also partnering ingredients with significant anti-dandruff, anti-seb derm, anti-psoriasis or even just dry itchy, irritated scalp benefits. Final stop: What about the remainder of the formula, is there anything else you should know about before investing in a bottle? Propylene Glycol – a petroleum-based synthetic alcohol. Acts as a humectant. Unfortunately, it can also irritate. Overall the use of SLES is balanced by other extremely mild, skin sensitive cleansers like our talked about zinc coceth sulfate and also coco-glucoside. Take caution only if you know your skin reacts to one of the 3 added extras above. Overall these 3 are not enough to significantly dent our love of Klorane soothing & anti-irritating shampoo – making a great choice for in-between dandruff treatments upkeep.